The press has made a lot of fuss over Facebook’s changes to keep overly-promotional posts out of our news feeds. Some think Facebook has pulled the rug out from under local business owners — first encouraging the cultivation of likes and now expecting payment in order to reach those fans with ads. But, you don’t want to be relying on a polluted medium. If Facebook did not clean this up, then we all suffer from viewers paying less attention to posts on their news feed. Where do we go from here and do what is right for our businesses? Don’t think of paid Facebook ads as the enemy when they could bring you great success at a small cost. 1. 1 BILLION people use Facebook EVERY DAY. Your customers are there. There is no free lunch. 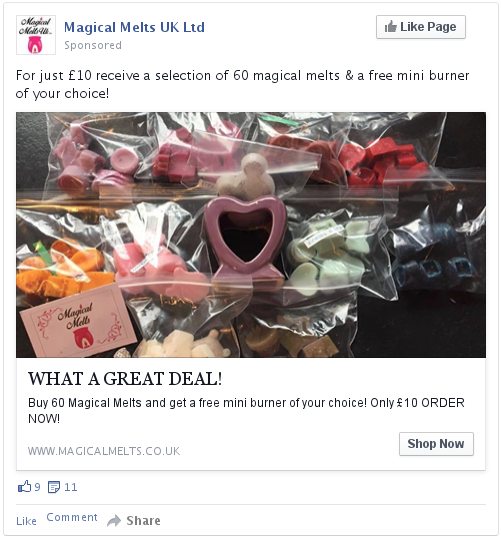 Facebook ads is a great way to reach your customers. 2. No other platform lets you target so efficiently. There is a lot more to come from Facebook. We’ve only seen the beginning of the powerful targeting they can provide with their intimate knowledge of your customers. What other advertising medium can let a pet shop owner place an ad ONLY to moms who live within 3 miles of the shop and haven’t yet purchased? That combination of demographic data, geographic data, and integration with existing customer information is extraordinarily powerful (and cost-effective). 3. Facebook ads reach your customers where they actually are — on the go. Almost 90% of Facebook users log in using their mobile phones. 1. Use a high quality image that contains little or no text. Your image is competing for people’s attention in their news feed with stories from their friends and family. 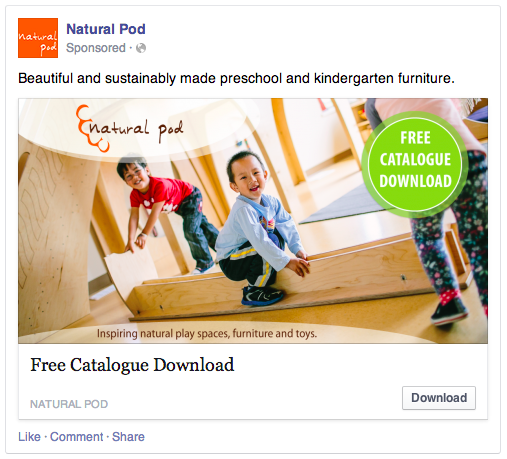 Make sure your image does not include text that covers more than 20% of the image’s area per Facebook’s Advertising Policies. 2. Photos of your products or services work best (avoid stock photos). Use eye-catching, appealing imagery to grab your customer’s attention as they scroll through their news feed. Focus on the things about your business that make it stand out. The people. The environment. The products. A photo of people using your product is often a very compelling image. Make sure there’s proper light when taking a picture of your product and that you don’t have a lot of things crowding your frame. Try using a photo app that offers filters. They take an average photo and make it feel more professional. Try Instagram, VSCO Cam, Snapspeed or Mextures. 3. Discounts or special offers work well to attract new customers. Start by deciding what your ad is intended to do. Are you trying to push a certain product? Encourage website views? Identifying the purpose of your advertising up front will help you attract visitors that deliver the desired results. Calls to action that highlight your product’s value and convey urgency are ideal. Some examples include: limited time offer, special sale, free gift or gift with purchase, exclusive offer, loyalty rewards, save when you spend. 4. Use Facebook’s extensive targeting options; they are unparallelled. Decide who your target audience is before you design your ad. You’ll want to keep this in mind when you select your image and write the text for your ad. How old are they? 18-25? 25-54? Where do they live? What kinds of things are they interested in? 5. 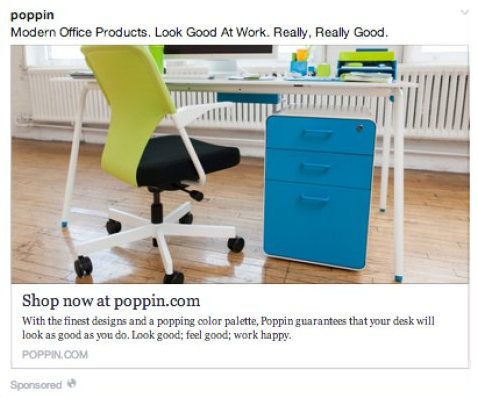 Use the Brevi app to launch a Facebook ad for your Ecwid store. Easily set up an ad campaign with its predefined templates and guided prompts. Automatically access the product info in your Ecwid store (product names, descriptions, URLs etc.) to incorporate in your ad. Identify and select the customers you want to target with your ad. Save money. You only pay for your target customers so your marketing dollars are used efficiently. Meet your marketing goals. By using the App to launch your Facebook ad, Brevi’s team of experts can now manage your ad campaign for you to make it meet your marketing goals. They guarantee the results. Randy Parker is the founder and CEO of Brevi, providing tools to help small businesses easily create and run Facebook ads. Brevi is an Ecwid App Market partner and enables Ecwid store owners to seamlessly launch Facebook advertising for their store. Parker is also the founder of Constant Contact, a highly successful online marketing suite for small businesses. He has been an advocate for small businesses for over 20 years.